Want to hear something scary? No, not scary like Five Nights at Freddy’s. More like disturbing. Now, what makes this admission scary is that I’m not a surgeon. And I’m not a nurse practitioner, physical therapist, or chiropractor. In fact, I’ve never had any medical training in my life — nor have I ever slid down an airplane safety slide! Horrified yet? Well, just wait. Because medical advice was not the only thing I used to freely dispense as a web writer. I used to write articles about child injury law, start-up culture, buying an apartment in New York City, and so on. And I have absolutely no training, experience, or knowledge in any of those areas. But what’s the big deal, you say? Journalists write about topics they’re not experts in all the time. They simply craft a story from expert sources and authoritative studies. What’s wrong with that? However, the difference between what I was doing and what a journalist does is that I hardly had time to spell-check, let alone hunt down actual experts, studies, or statistics. Who would when you need to crank out 5 to 10 of these 500-word articles each week? Sadly, the only knowledge I had was what I found online about these topics. Ah, the glory days of ghostwriting. Uh, so what exactly makes an expert … an expert? I wasn’t the only one creating this stuff. Hundreds (thousands perhaps, maybe even millions) of more drones just like me were clogging up the Internet with shallow, water-thin content on every subject known to man … all in service to people who wanted to game search engines. Fortunately, Google has since put the kibosh on such behavior through updates like Panda, Penguin, and Hummingbird. And, fortunately, they continue to refine those algorithms, most recently with what they call “Expertise-Authoritativeness-Trustworthiness (E-A-T)”. These terms — particularly authoritativeness and trustworthiness — are not new to any regular readers of Copyblogger. But have you ever wondered what exactly an expert is? In some cases, it’s easy to define an expert. For instance, the only person giving advice about knee surgery should be an orthopedic surgeon. Someone with the right training, the proper credentials. But, according to Google, this is not the only type of expert. Pay attention, because you and I have got something at stake here. I don’t have a college degree in copywriting or content writing. But because I produce those types of writing for a living — as well as evaluate applications for Copyblogger’s Certified Content Marketers program — it could be argued that I’m an expert. And you, dear content marketer, are probably struggling with the same type of concern: what exactly makes you an expert? Well, that’s what this quiz is all about. It’s designed to help you refine your sense of becoming an expert. I’m going to give you a scenario involving a so-called expert. Your job is to decide if the person described in the scenario is an expert or not. After each scenario, I’ll tell you the correct answer — according to Google’s content quality standards — and go on to explain the reason behind the answer. And just so we are clear: every single scenario I share below is a work of fiction, based loosely on real-life experience. But names, places, and incidents are the products of my imagination. Any resemblance to actual persons (living or dead), businesses, companies, events, or locations is entirely coincidental. Now that we’ve got that out of the way, let’s get going. Ready? Third-year University of Georgia, Athens economic student and ultra-marathon runner Heather Soso got tired of her chronic plantar fasciitis, a condition she’d been ignoring since her senior year in high school. Naturally, she did what we all do when we want medical advice: she looked it up online. She was amazed at the variety of amateur and professional advice available on treating and preventing the condition. Each approach might have some scientific support, but it was mostly anecdotal. Which approach should she try? It was so confusing! But then she had a brilliant idea: she would try them all and blog about it. Over the next year, she tried each approach and wrote dozens of articles. Her most popular page was about the six toe exercises that treated her condition successfully. That’s right: six exercises for her little piggies. So, what do you think: would Google consider Ms. Soso an expert? Her article on toe exercises authoritative? Trustworthy? The answer is “yes,” because while her website’s topic is medical in nature, Google would view Heather as an “everyday expert” — someone with relevant life experience. And this is true for other activities, such as cross-fit training, passing the GMAT, and even teaching SEO. If you’ve got everyday experience, flaunt it! Dee Dell, from Big Cottonwood Canyon, Utah, is frustrated to no end over the fact that so many Americans don’t have a retirement plan — and don’t even seem to care. Furthermore, he believes this is not good for our economic future since this may mean that nearly 40 million people will be dependent upon a government that is already stretched thin. This professor of business management and partner with MegaMo Asset Management is on a mission to encourage men and women over 40 to start saving — and he’s showing them exactly how to do it. But because Dee is an impatient, aggressive man, his articles are often brief, rushed, and laced with profanity — but oh so much fun to read because of his passion for the subject! This allows him to churn out four posts a week, but his company and busy schedule with the school keep him from updating the information in his content. So, what do you think Google would think of Dee’s pages? Expert enough to be authoritative and trustworthy (since he’s got the credentials)? That’s something Dee is not doing. In addition, to improve his pages and be taken more seriously by Google, Dee should write in a professional style, go in-depth (even if this means he publishes only once a week), and have his content edited — possibly even reviewed by a peer as well. After winning $8,047,882 in the Canadian lottery, former newspaper editor and math teacher Kimball Saddlechurn took it upon himself to scratch an itch he’s had since childhood: mastering the art of building tree houses. But not just any tree houses — really high tree houses. In the last 6 years, he’s built 14 multi-room tree houses more than 90 feet above the ground. It’s still not clear whether or not these tree houses are legal, but he could care less since he’s a multimillionaire. Which got him thinking: $8 million may not last forever, so maybe he could pad his retirement nest by flipping his hobby into a source of income. During a casual lunch of veal limone and rabbit gnocchi, his girlfriend told him about the benefits of content marketing. Intrigued, Kimball washed down his meal with a tumbler of Aultmore of the Foggie Moss, spread his laptop out on his indigo pajama bottoms, and launched a sleek website. In his blog posts, he goes into great detail about the structure and safety of building a tree house that high off the ground. He offers multiple blueprints and considerations about weather conditions and tree types. So, what do you think: would Google consider Kimball’s pages expert enough, especially given the financial nature (people will be dropping thousands of dollars to build a tree house) and risk to life? The reason is that while Kimball is a hobbyist (a rich one at that), he’s got the right type of experience: 6 years, 14 tree houses, and, most importantly, no one has ever fallen out of a tree. Besides, Google smiles upon the fact that Kimball writes in-depth articles (with blueprints at various angles to boot). Now, exactly how much experience he needed before he became an expert is unclear. Was it the eighth tree house or the ninth? Maybe it was the fourth? Here’s a moral I think you can get out of this: there is no perfect time to get started. As long as you are not dealing with lives and big money, you don’t have to wait until a certain number of years to launch. This is equally true for activities like photography, dog sitting, and learning how to play guitar. Just start publishing because there are advantages to having a website with age. Morton Ambledowny Piff loves Quora — the question-and-answer site where community members ask, answer, and edit the responses. Morton particularly loves sharing answers about his speciality: North Korean culture. So, it may come as no surprise that this 72-year-old widow and ex-Marine, who spent 37 years working for the government-run Foreign Languages Publishing House in North Korea as a publicist (his fluency in six Asian languages was a major boon), has one of the most popular posts on Quora. In fact, the article — along with several others — are among the top-ranked in Google search results for a specific keyword phrase. But these top-ranked posts from Morton are not about North Korean culture; they’re about stage IV lung cancer. See, Morton not only had the unfortunate experience of caring for a father who died of stage IV lung cancer, but Morton himself now suffers from stage IV lung cancer. And his Quora answers are all about his personal experience with lung cancer. To some degree, he might even be able to write authoritatively about prevention and treatment, but those subjects should probably come from medical professionals. The 33-year-old Wiga Mikolajczak-Jefferson, usually one to agonize for long periods of time over a decision, knew the moment she laid eyes on Blake “The Mighty Thigh” Jefferson that he was her man. Three days later she was married. What she didn’t realize was that she’d be moving into Blake’s 251-square-foot bungalow. But since she was an interior designer by trade and smitten to the bone over her boy, she decided to give it a try. And wouldn’t you know it: after several months of rearranging the bed, she fell in love with the simplicity of living in such a small space. And because she was a recovering McMansion dweller, she decided to start an email newsletter to tell everyone else about her discovery and the advantages of living a simple, clutter-free life. Over time, her newsletter attracted 22,000 readers, which made her kind of famous. Unfortunately, though, her blog posts weren’t getting very high search rankings. Wiga didn’t respond well to this. “Why are you treating me this way, Google?” she would cry in the dead of the night, shaking her fist. And this type of content demands expertise (which she had, both professionally and personally), but it also demands clear, concise, and compelling writing. And it would help to think like a Google engineer, too. Which, fortunately, means that Wiga can instantly improve the credibility of her content by simply hiring an editor. Aim for deep and detailed content no matter what you write about, but especially if you’re dealing with YMYL content. 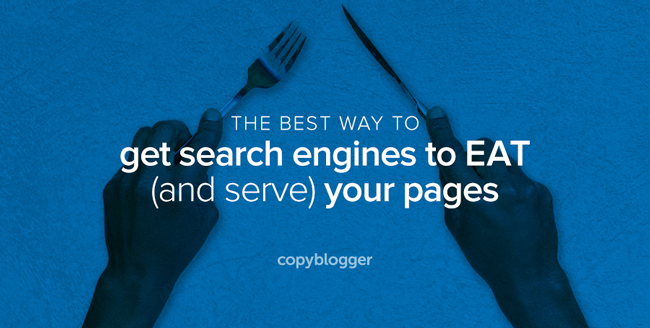 Perform original research to help your content go deep. Avoid redundant or duplicated content — and don’t steal content from other sites. Edit your content. In other words, spell correctly, fix factual errors, and repair poor grammar. Maintain and update your content on a regular basis. Write in a professional style: clear, concise, and compelling. Be sure to avoid jargon. Remain balanced, professional, and worthy of your audience’s trust. Financial advice should come from expert sources. Cover a topic comprehensively. Don’t aim for an arbitrary word count and stop once you reach it. When giving “future happiness” advice, make sure you have the appropriate expertise (even if it is of the “everyday” variety) and make sure it’s professionally written. Avoid the obvious. If 30 people have already reported on the Facebook Graph Search, then find something else to write about (unless you have information nobody else does). Write content a professional print magazine would publish. Spend an insane amount of time on detail. Commenting on forums like Quora can get you attention and build trust — as long as your posts are encyclopedic, accurate, and easy to read. Share what you learned in the comments below, and let me know if you have any questions or doubts about whether or not you are an expert. I know this was somewhat of an unorthodox way to cover this topic, but my hope is that you had fun. Because I know I did.